VANCOUVER, BC and CALGARY, AB – August 14, 2018 – Ostara Nutrient Recovery Technologies announced today a long-term exclusive distribution agreement with Taurus Agricultural Marketing to market & sell Ostara’s Crystal Green® phosphate fertilizer and forthcoming technologies into Western Canada and Ontario, providing growers with a crop nutrition solution that is high-performing, sustainable and environmentally-responsible. Crystal Green is sustainably produced by Ostara and is the first continuous release fertilizer to provide Root Activated™ phosphorus: Crystal Green’s unique mode-of-action releases phosphorus, nitrogen and magnesium, only in response to organic acids produced by growing roots. This ensures that phosphorus is consistently provided to the crop and available for uptake when the plant needs it, which reduces the environmental impact caused by excessive nutrients that may leach and run-off into adjacent waterways. “It is more important than ever before to help connect our progressive growers to technologies that not only allow them to be more successful in crop production, but also help them to do it in a fashion that is better for their land, and the long-term sustainability of the earth. We are happy to have found Crystal Green to satisfy the higher percentage of growers looking to engage at this level” said Craig Davidson, President, Taurus Agricultural Marketing. Taurus Agricultural Marketing has trialed Crystal Green over the past two growing seasons to review its agronomic performance and to examine its impact on reducing the effects of non-point source pollution from agriculture. According to Davidson, Taurus has been very impressed with the performance, and the science behind Crystal Green, which allows growers to take advantage of Crystal Green’s unique mode-of-action to increase the amount of phosphorus taken in by plant roots, thus reducing the phosphorus load going into Canada’s streams, rivers and lakes. “Taurus is a thought-leader in Canadian agriculture and Ostara is forging the path in resource recovery and reuse while at the same time providing the Ag market with a product that can help eliminate phosphorus tie-up, leaching, and runoff. We have a strong agronomic, environmental and sustainability advantage, and Taurus is a natural partner to help us reach Canadian growers,” said Molly Biedenfeld, Vice President, Nutrient Market Development and Sales for Ostara. “We are very excited to partner with Taurus to provide Ostara’s leadership in crop nutrition technology to their network of advanced growers. Our relationship will provide Canadian growers with an option to implement a high performing nutrient management program. And we are very pleased to offer the added benefit of providing an environmental solution that helps protect our precious natural resources”., said Dan Parmar, President & CEO of Ostara. Ostara helps protect precious water resources by changing the way cities and industries manage nutrients in wastewater streams. 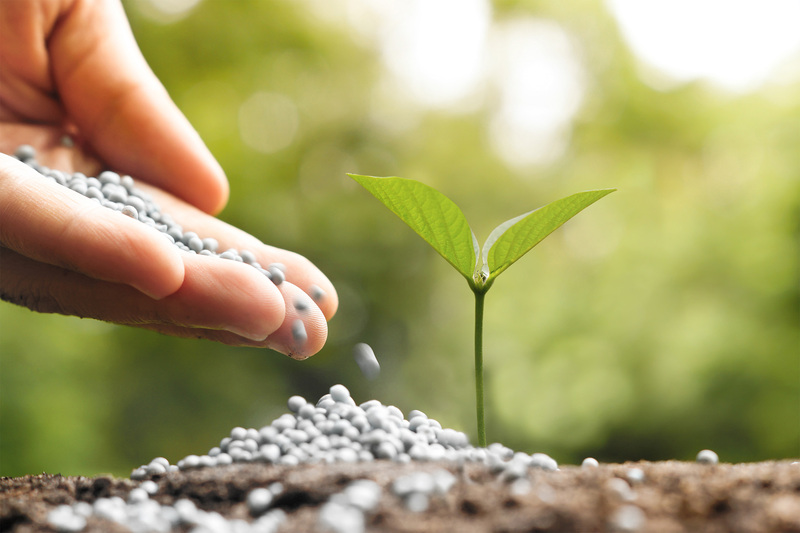 The company’s Pearl® technology recovers phosphorus and nitrogen from wastewater streams and transforms them into Crystal Green®, a high-value, eco-friendly fertilizer. Crystal Green is the first continuous release, granular fertilizer to provide Root-Activated™ phosphorus, nitrogen and magnesium (5-28-0 with 10%Mg) and is marketed through a global network to the turf and agriculture sectors. Its unique Root-Activated™ mode of action improves crop yields, enhances turf performance and significantly reduces phosphorus tie-up, leaching, and runoff, thus protecting local waterways from nutrient pollution. Ostara operates fifteen facilities throughout North America and Europe. For more information, visit www.ostara.com and www.crystalgreen.com. Taurus Agricultural Marketing Inc. has been helping growers do what is best for their business operations since 2001 operating in Western Canada and more recently expanding efforts in the United States and overseas. Taurus has been bringing new technologies and advancements in crop production to advanced growers; earning the trust of the marketplace to be that conduit to ensure these advancements can have a positive economic benefit while increasing efficiencies that offer a new level of sustainability. To learn more about Taurus and their other exciting new technologies like Crystal Green, visit Taurus Agricultural Marketing.